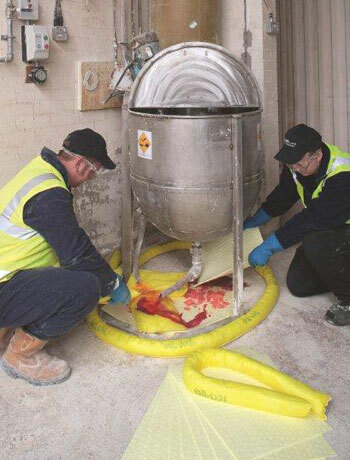 Oil-Dri products must be disposed of in compliance with local authority guidelines. All spills should be identified for their hazardous nature before being dealt with. Correct PPE should be used by personnel dealing with spills. Correct spill containment and absorption materials should be used. Spent materials should be placed in a waste disposal bag and appropriately marked to show the contents. The disposal bag should be sealed and an appropriate waster consignor should be used to dispose of the products. Used materials should be restocked as soon as possible. Further technical help and advice is available by telephoning our sales office on 01945 581244.